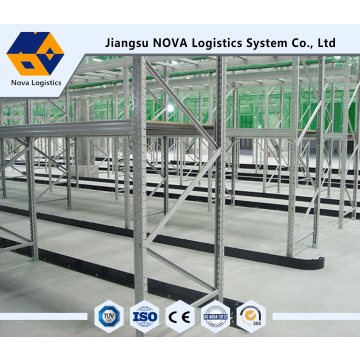 Pallet Racking System is a most useful and cost-effective storage racking system providing direct access to all pallets. It provides high capacity storage, is easily installed and adjusted, and has low equipment and capital costs. 1. Pallets can be located, accessed and moved individually. 2. 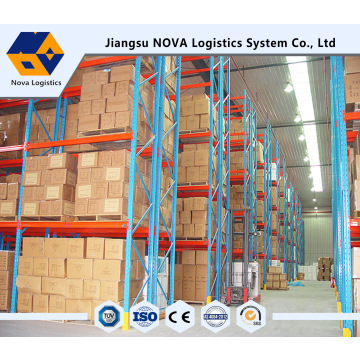 Rapid handling of almost all types of palletized goods. 3. Infinitely adjustable and offering a wide range of options and components to accommodate specialized needs. 4. Maximizes space use in any warehouse configuration while retaining optimum product accessibility. 5. Strength and rigidity prevents compression damage to goods. 6. Bottom level of pallets can be stored on the floor, lowering structure costs. Standard section sizes: 80*60*2.0, 90*70*2.0-2.3, 100*67*2.0-2.5, 120*87*2.0-2.5mm. Standard section sizes: 80*50*1.5, 100*50*1.5, 110*50*1.5, 120*50*1.5, 140*50*1.5, 160*50*1.5, 180*50*2.0mm. Post Baseplate, Bracing, Plastic Block for assembly of horizontal bracing, Anchors, Bolts & Nuts, and Safety Pin. 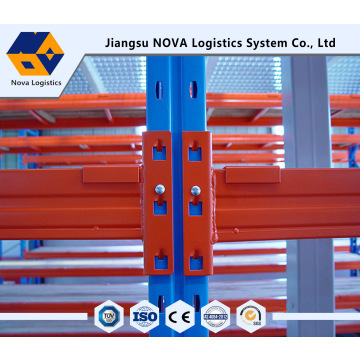 Row Spacer connecting Upright Frames for stronger structure, U-shape Post Protector, L-shape Post Protector, Frame Barrier, Pallet Supporting Bar, Steel Pallets, Plastic Pallet, Special custom-made Pallets, Cage, Mesh Container, Mesh Deck, etc. 1) can be adjustable in 75mm pitch interval. 2)Different sizes, specifications and colors are available according to customers’ demand. 3. Finish:High-quality Powder Coating Finishing. 4. Load Capacity & Dimension:According the clients demand. 7. Quick Delivery.Within 25 days for ordinary order quantity. Big production capacity allow us in a position to make quick delivery. 1. All racking shall be fixed onto the ground by means of Expansion bolts. 3. There are link bars between two back-to-back rack rows. 4. Protector is recommended to mount in the junction of over two directions. 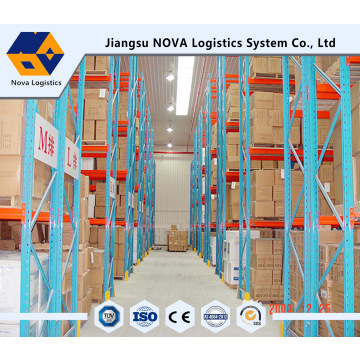 Established in 1997s, Jiangsu Nova Logistics System Co., Ltd has developed into a medium-sized group with three factories and a joint venture company ,being considered as the leader in its field now. From the very beginning, the group has been devoting itself to developing, manufacturing and marketing of a variety of logistic products. Moreover, we have consultancy experts and an experienced installation team of more than 50 people to provide excellent pre& after sales service. 2) You can fly to Shanghai Pudong International Airport then come to Nanjing by High-speed railway, then we will pick you up in Nanjing South Railway Station.